As high school academics and extracurriculars become more demanding, the Dart explores how students' mental health is affected. Her name is called and she walks to the front of the room to grab her test. It’s handed to her, folded and facing down. She takes a seat, too nervous to flip it over; she can already see three possible points missed on the back side of the test. She musters the courage. 60 out of 78. She whips out her calculator. That’s a 76.92 percent. Her fingers are flying. Her grade is going to drop 7.45 percent. A classmate taps her on the shoulder. 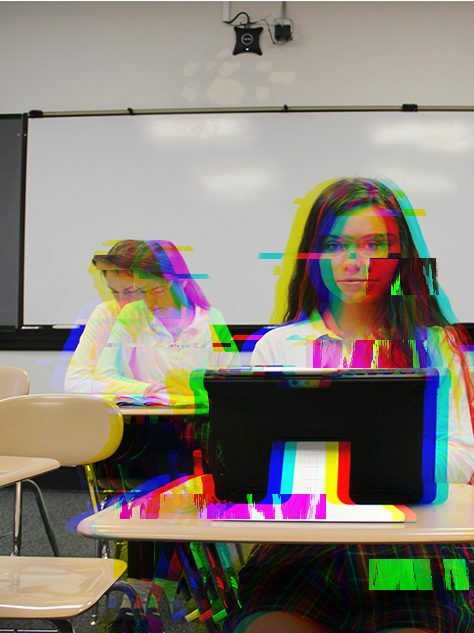 Junior Anne Claire Tangen describes this as a typical morning in one of STA’s more rigorous classes, where “What’d you get?” has become a phrase charged with stress and intimidation. This competitive culture is not limited to STA, however. Expectations for high schoolers have ballooned in past years, creating a fierce classroom environment and ultimately affecting students’ mental health. In a survey released in 2014, the American Psychological Association reported that high school students’ stress levels are continuing to rise, rivaling those of adults. In this study, stress levels were assessed on a ten point scale where 3.9 is considered a healthy level of stress. In the report, teens averaged a level of 5.8 compared to the adult level of 5.1. The study also revealed that 31 percent of teens reported feeling overwhelmed, depressed or sad, 36 percent reported feeling fatigued or tired and 23 percent reported skipping a meal due to stress. “In order to break this cycle of stress and unhealthy behaviors as a nation, we need to provide teens with better support and health education at school and home, at the community level and in their interactions with healthcare professionals,” Anderson said in a statement. When left untreated, this chronic stress can start to build up bringing on more serious consequences. Science teacher and mother Renee Blake has observed stress in students at school and at home. Teenage and young adult suicides are on the rise, even in Kansas City. According to Fox 4 KC, Jackson, Cass, Clay and Platte counties saw a total of 43 suicides in the under 25 category throughout 2017, 17 of which were in the under 19 age category. In Johnson county, 8 teens took their lives in 2017. In January of 2018 alone, three high school students have committed suicide in the Kansas City Metropolitan area. Tangen also believes there is a definite correlation between the teen suicide rate and the modern day pressures of high school. She attributes the pressure to the college admission process and the necessity to take on too much in order to be seriously considered for scholarships. “It’s so competitive with everyone else and we’re killing ourselves in the process and it’s so not healthy,” Tangen said. Blake seconds this, describing high school pressures as being part of a “trickle down” process. In addition to school stress, many students are involved in extracurriculars outside of school or work part time jobs. Counselor Peg Marland, who graduated STA in 1975, had a different experience. “There’s a lot more stuff that people do outside of school than ever existed,” Marland said. In 2014, the national Census found that nearly 60% of all children participate in extracurricular activities like jobs, sports or lessons. Despite this, a 2013 survey of U.S. colleges and universities conducted by the NACAC (National Association for College Admissions and Counseling) found that the majority of colleges ranked extracurricular activities as being of moderate or limited importance. Instead, they place emphasis on grades in college prep courses, strength of curriculum and admissions test scores. Junior Lucy Whittaker also notes the uptick in stress she experienced once she started her job. “I feel like sophomore year was my most stressful [year] because that was when the difficulty in my classes picked up and I had never had time to manage that much before. It was especially difficult because I just started a job over the summer so then I had to balance that on top of school,” Whittaker said. When Marland attended, STA students were not participating in club sports or other time consuming extracurriculars with the rigor that they are now. “I don’t know how people have the time in the day to do everything,” Marland said. Blake also explained that as a teacher, she doesn’t always know what kinds of expectations and responsibilities students have after school. As a mom of an STA alumna, however, Blake was able to grasp what’s expected of high school students. “[Jennifer] played basketball here,” Blake said. “I could always tell during basketball season her stress level, especially for papers…” she paused, searching for the right words, “she would have crying sessions,” Blake said. Despite this stress, Blake explained that Jennifer was able to learn planning and organization skills to manage her demanding schedule. “If we sat down, we were able to make a plan or a calendar,” Blake said. Whittaker, who took Advanced Biology her freshman year, felt the class was the only one she took as a freshman that prepared her for her more stressful sophomore year. “I don’t think freshman year really prepared me for time management all that well, except for Advanced Biology because we got to set our own deadlines,” Whittaker said. The taxing environment of school doesn’t just affect its students. Teachers, too, often feel the pressure. “I probably overdo it, but I sat down one time and figured out that I probably put in between 80 and 90 hours in a week,” Blake said. A 2015 survey by the American Federation of Teachers found that 73 percent of respondents reported feeling stressed at work. Only around half of those same respondents said they felt enthusiastic about their jobs. Tangen describes a clear link between the stress of high school and the state of her mental health. Tangen was able to manage her stress until junior year, which has the reputation of being the most academically challenging year of high school. The first semester of junior year was extremely difficult for Tangen because of her demanding schedule and rigorous course load. Tangen is taking AP Computer Science Principles, Honors Physics, College Pre-calculus, Latin III, AP Literature, AP U.S. History, Social Concerns, and Online Personal Finance. “I was up really late all the time and that has an effect on you and your mental health,” Tangen said. Despite this struggle, Tangen recently met with counselor Amanda Johnson-Whitcomb to try to de-stress. “I was like ‘I’m not okay’ and we just talked it out and stuff and I thought I was being dramatic but I’m really not,” Tangen said. St. Teresa’s employs four counselors for a student body of 597. In addition to this, STA also holds STAR Seminar once a week for freshmen, a semester-long class designed to “help all freshmen make a successful transition into high school,” according to the school website. Despite these efforts made by the school, many students still struggle. In a survey conducted by the Dart, 76.4% of the 212 respondents said they felt like the competitive academic environment at STA contributes to mental health breakdowns. Tangen believes that school perpetuates the problem and stands in the way of its solution. Whittaker agrees that the school could be doing more to ease excessive stress on students. According to Marland, there are ways students can mitigate stress-induced simple anxiety and depression. I really agree with this article. Majority of students have really low self-confidence due to school related stress of getting “good grades”. We shouldn’t be defined by a letter or test, and this article really shows that students need better help coping with this high pressure of trying to succeed in school.